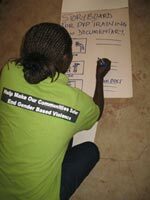 Following training, C4C maintains close links with partner organizations in an ongoing supportive and advisory role. C4C has produced independent human affairs programs and commissioned documentaries for UNIFEM, the Women's Feature Service, and Women's World Banking, among other organizations. C4C productions - including Patients and Doctors Who Are Partners and the ARE YOU LISTENING series - are used by community and international development organizations, in university curricula, and for professional training purposes. C4C programs have been broadcast on PBS, on commercial and cable stations, and in over 40 countries worldwide. 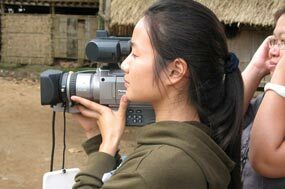 C4C has over 20 years' experience in development communication and participatory video. C4C provides technical assistance to numerous international, governmental, and non-governmental organizations on communication strategies in support of training, organizing, advocacy, and development efforts. C4C advises organizations on new approaches to media, helps design equipment packages, writes strategy papers, and facilitates exchange among different groups. Having formed participatory partnerships around the world, C4C offers a perspective informed by diversity and particularly focused towards women's empowerment.